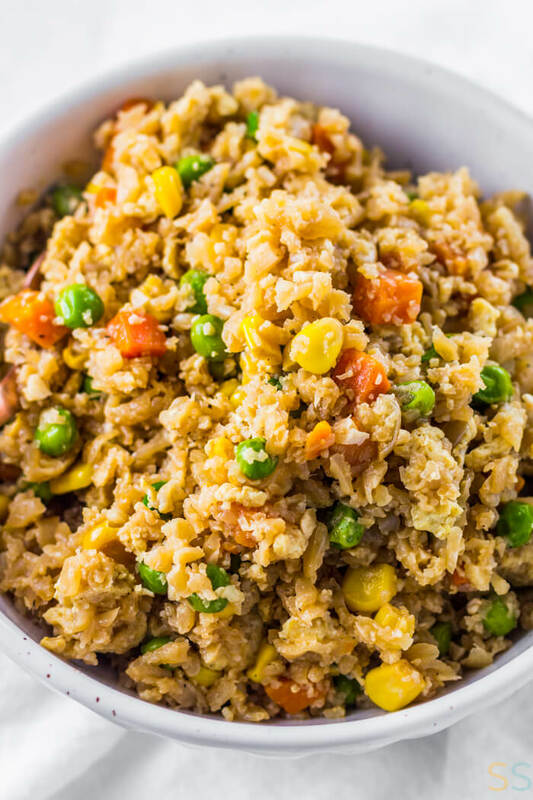 This Cauliflower Fried Rice Recipe is a quick and healthier take on your favorite reliable takeout dish, vegetable fried rice. 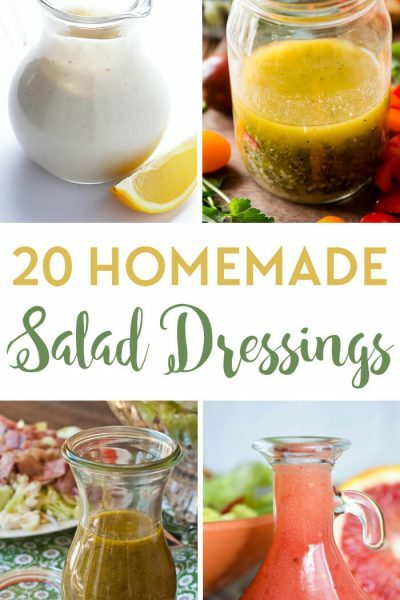 And at just 204 calories and 4 Freestyle Points per serving, it makes a perfectly light side dish. Guys, this cauliflower fried rice recipe tastes just like actual fried rice. I am a rice lover through and through, and can say that this is one healthy swap I don’t mind one bit. This cauliflower fried rice is ready in under 20 minutes, so it makes a SUPER quick dinner. Make it Gluten Free. To make this cauliflower fried rice recipe gluten free, use a gluten free soy sauce or tamari. Make it Vegan. 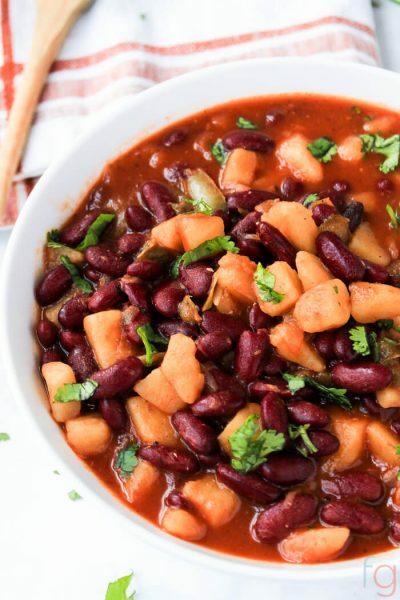 To make this recipe vegan, skip the eggs. They definitely do add to the flavor of the dish, but it’ll still be a tasty batch of veggie fried rice without it! To save some time, instead of ricing the cauliflower myself, I just used minced cauliflower from the produce aisle at the store. It’s basically all the same thing, so any of these types will work. You just want them to be rice-like in shape. You can also, of course, make your own from fresh cauliflower. I wanted to save some time, so I cheated a bit. Can I use Frozen Cauliflower Rice? 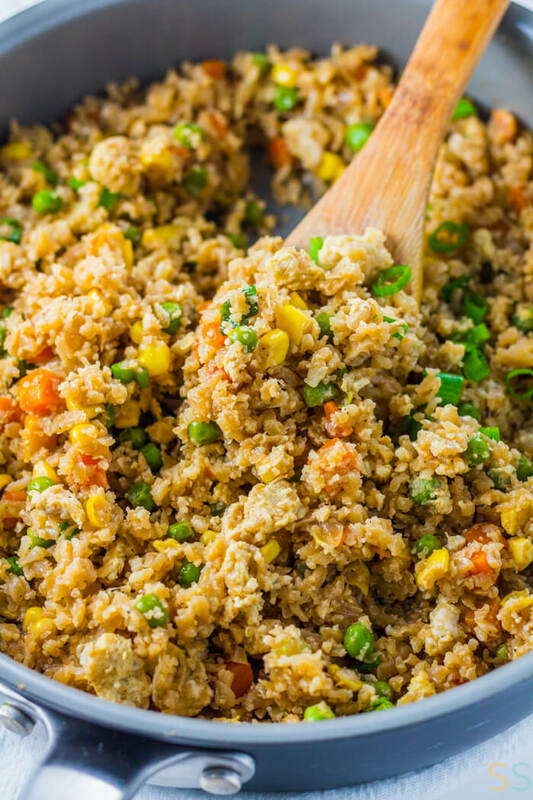 I’ve seen a ton of cauliflower fried rice recipes using frozen, so yes, you definitely can use frozen. The reason I didn’t is because I think it would probably make the rice a bit soggy, so I prefer to use fresh. 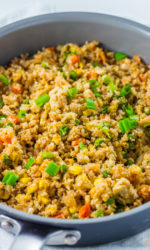 This Cauliflower Fried Rice Recipe is a quick and healthier take on your favorite reliable takeout dish, vegetable fried rice. Beat two eggs in a medium bowl along with a dash of salt and pepper. Set aside. In a small bowl, mix together soy sauce, garlic and 1 tsp. sesame oil, set aside. In a large pan, heat 1/2 tbsp. of vegetable oil over medium high heat. Add onion and frozen vegetables. Season lightly with salt and pepper. Saute for about 5 minutes. Add remaining vegetable oil to pan and add riced cauliflower and soy sauce mixture. Saute for about 5 to 6 minutes. Reduce heat to medium heat. Move all ingredients to one side of the pan. Then add 1 tsp. sesame oil to the empty part of the pan, and add eggs to the sesame oil. Scramble eggs on one side of the pan for about 3 minutes, then incorporate into the cauliflower rice. Sauté additional 2 minutes. Remove from heat and add green onions. Serve immediately. This was delicious! I used fresh asparagus and mushrooms instead of the other veggies. Loved it! This is such a gorgeous dish! 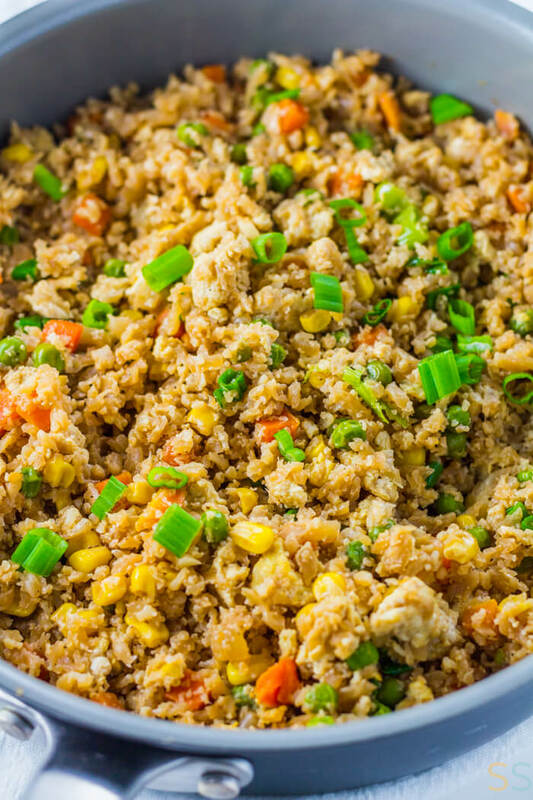 I love fried rice and can’t wait to try out this healthier cauliflower version! I love this fried rice recipe using cauliflower! Great texture and flavor! 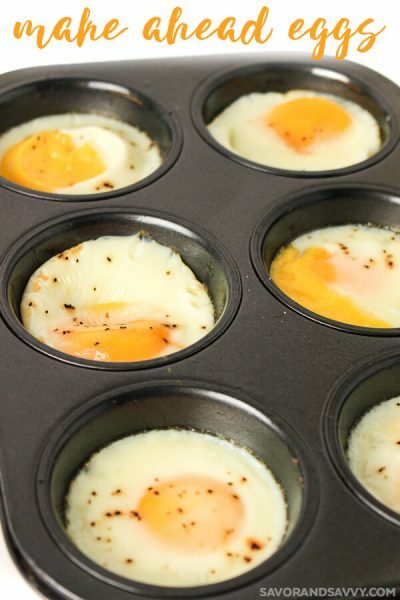 I plan on making this recipe for my husband and myself. 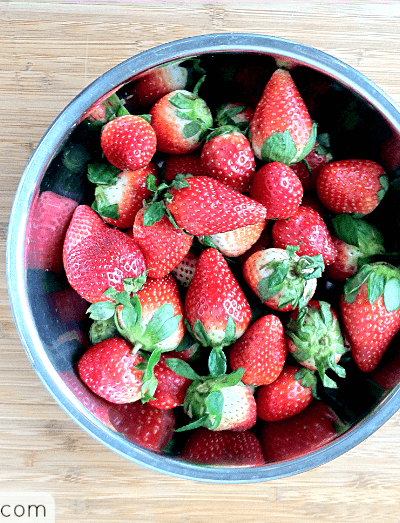 I just entered all the ingredients into the Weight Watcher recipe builder, to make it easier for tracking …and one serving came up as 2 Freestyle Points. That’s even better … but I wonder why it came out to half the points printed on this recipe.